As the winter months approach, many of us will find ourselves spending more time in solitude, inside, and away from the cold. The colder seasons are a time for introspection and a time to get in touch with ourselves even more. This is also a period where it’s much easier to hone your own intuition. Regardless of the belief system someone has put in place, everyone has the ability to open up and connect to various sources in order to further hone their own intuitive ways. While it’s true that some may choose a life path that revolves around regular utilization of these skills in order to directly help others in need, it certainly doesn’t mean that road is required. In other words, better attuning yourself to various energies doesn’t mean you have to dive into that type of career. It is incredibly useful in everyday life and there are already countless people out there who do this regularly to help both themselves and the people around them. The best detectives and investigators out there use a combination of their own intuition and gifts along with factual information to solve cases. Writers often times will add indirect spiritual themes or share personal visions in their stories in order to push a message. Even musicians project their emotions outward so that others can literally feel them and better relate. There are countless other examples, but all of them shed light on the natural ways our gifts are already utilized. Simply put, most people are much more gifted than they think, but many of us have spent a lifetime being told what to do, how to think, how to behave, how to act, and because of that have simply lost touch with ourselves. Everyone can grow in this area and get in touch with themselves, get better attuned, and find out what real empowerment is all about. It’s important for everyone to realize that we all have these abilities and can use them to make a genuine impact in our own lives and for those around us. While there is really no set plan to open yourself up further, the three steps found below will help you set old thought patterns aside and open yourself further to a world you never knew you could fit into. Belief is the key that unlocks the unlimited potential within all of us. This includes belief in self, belief in a certain tradition, or belief in certain ways of thinking, but what matters is that you learn to believe. It is important to fully accept that there is more out there rather than writing off every little coincidence or experience you have noticed throughout your life. They are meaningful and once you learn to tune into them more you will be surprised at the information you can get. Get to know yourself at the core and find out who you are, what makes you excited, what lights that inner fire and what keeps you pushing forward. What motivates you? What inspires you? Getting to know yourself is a quick way to open right now. It doesn’t necessarily hone it, but it does help to get you in touch with it more. It’s likely the direction your inner voice has always pushed you. The more you know yourself, the more you will see how capable you are of opening up to this world or achieving anything you set your mind to. It also helps to increase your confidence levels. The more confident you are, the more success you will see. If you are truly wanting to develop and open yourself up more, it’s imperative to set expectations aside. Let go of any thoughts that abilities and gifts only work in one very specific way. It’s important to let go of any restrictions you may have inadvertently put in place. When we add rules and boundaries to this type of development, we barely crack the door instead of opening it up all the way. This process makes it a lot more difficult to see what is actually inside. Let go, let it happen, and find out how it works for you specifically. Everyone tunes into energies slightly different. 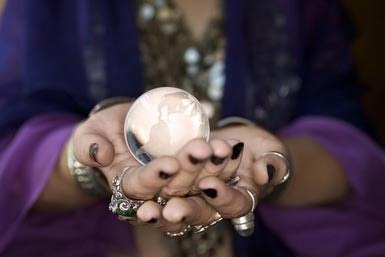 If you are looking to grow your natural gifts or want to know how to better get in touch with your own intuition, reach out directly to any one of our spiritual psychic advisors. They have the ability to look at your specific gifts and provide you with tips to better hone your intuition. Hi Lisa, please feel free to message any of our psychics directly with your dream details.